baby ducks and baby boys. At least preparing for baby boys. I am just giving a sneak peek for now. Mommy's shower is at the end of next month and I am keeping things a little closer to the vest this time around. Isn't this sweet little thing just the cutest as he splashes away? He is just charming! I can't wait to see the whole outfit! Your picture smocking is as good as it gets! Look how perfect those threads are laying! Can't wait to see the whole outfit! 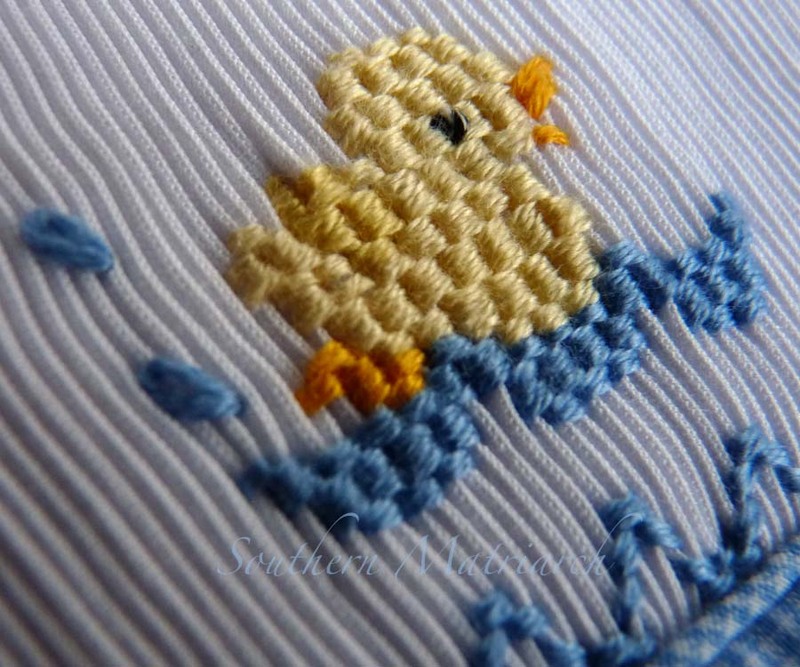 That has always been a favorite smocking design of mine! So cute! I am working on cleaning the disaster area otherwise known as my sewing room. Then, maybe I can actually find the things I want to sew! Cute! Love little duckies. I am busy embroidering Taylor's for another little boy.